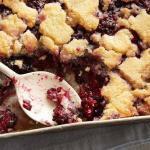 Mouthwatering delicious blackberry cobbler recipe. Better than any you’ve ever had. This recipe is made especially scrumptious with the addition of Grand Marnier, an orange flavored brandy liqueur. 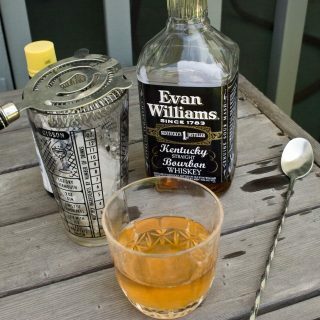 It’ made from a blend of cognac brandy and distilled essence of bitter orange, which hails from a citrus tree and sugar. Blackberries are a nutrient rich fruit which contain high dietary fiber, vitamins C, K and folic acid (a B vitamin). They contain an acid that is thought to prevent or kill cancer cells. Their high fiber content is beneficial to digestion and the reduction of LDL (the bad cholesterol) in the blood stream. So you may want to amass all the blackberry dessert recipes you can for good taste and good health. 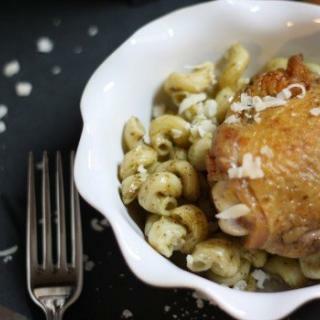 Though this recipe is not the quickest one I have ever experienced. It is rather simple to me because I have made it so many times. The only task is the making of the crust. But oh, is it scrumptious and well worth the time employed to make it. I served this to my mother-in-law at the first dinner I ever had them to. She was very picky and a superb cook. So I was quite nervous about serving her anything. She never really made any comment, good or bad. But about 6 months after having them over to dinner, she asked me for the recipe. I guess she liked it. how to make BLACKBERRY COBBLER RECIPE ? 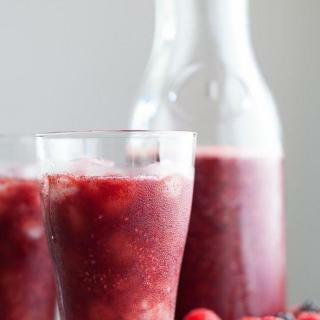 this BlackBerry Cobler recipe is very tasty. 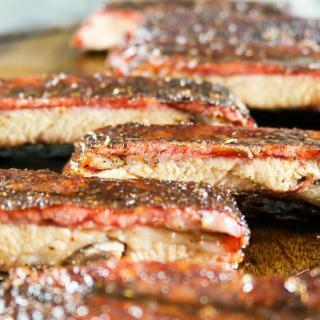 it has an appearance and taste that dilutes your mouth. To make the crust, combine flour, sugar and salt. Cut in shortening and work it through until mixture resembles coarse crumbs. Add ice water 1 tablespoon at a time. Knead dough until if forms a smooth ball. Wrap dough tightly in plastic wrap and refrigerate for 30 minutes. Remove dough from refrigerator and place on a lightly floured surface. Roll dough out until it is 1/8 inch thick. Divide rolled dough in half. Place half of the dough in the bottom of a 9′ x 9′ square baking pan. Reserve other half of dough for topping the cobbler. Toss blackberries with sugar, Grand Marnier and flour. Pour tossed blackberries over crust in baking pan. Top blackberries with cubed butter. Lay reserved crust over top, tucking edges into pan. Place on a cookie sheet to avoid spills to your oven. Bake at 350° for 30 to 35 minutes. 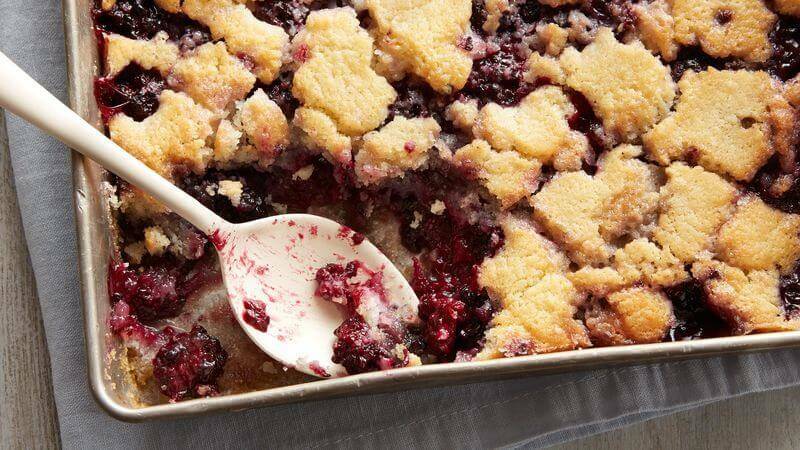 This blackberry cobbler recipe is sinfully delectable served warm with vanilla ice cream. Cook’s Note: If I am really in a crunch for time, I will prepare the blackberry filling, place it in the baking dish and make a quick recipe of Bisquick® drop biscuits and drop spoonfuls over the blackberries and bake.